I wanted to really quickly show you guys this outfit I wore on Friday. 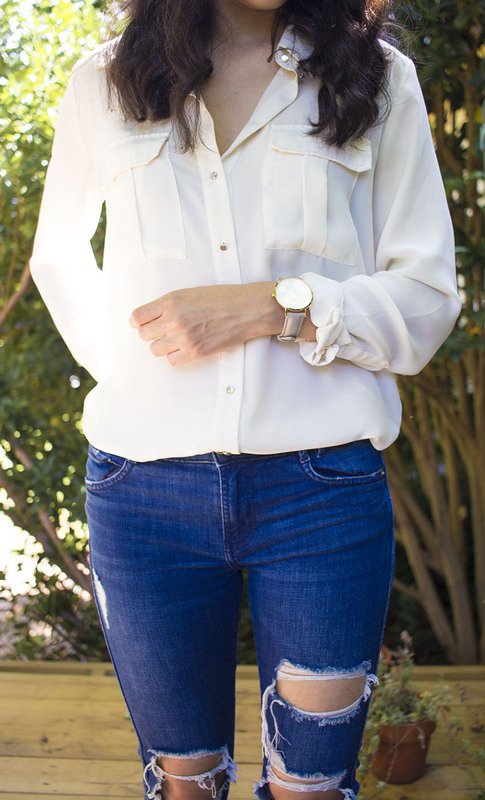 As I was looking through my closet I found this cream blouse that I hadn't worn in so long. So that quickly solved my what to wear crisis. I love how it looks tucked into a pair of jeans. It's even more perfect that these are distressed so it balances out the dressy blouse. I wore my new CLUSE watch which is my go-to now. It complements all of my outfits with its beautiful simplicity!